Home » Casper » Facebook » Iceman » X-MEN » I am Casper, the friendly ghost: Who are you? 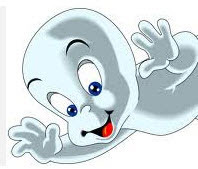 I am Casper, the friendly ghost: Who are you? An invasion of our favorite childhood cartoon character has been flooding Facebook for days. Heroes and villains of different imaginary planes showed up and united for one cause (blimey, it reminds me of the Onslaught SAGA where heroes and villains alike had to fight in unison to preserve their rightful place – the earth from the threat posed by Big O, Xavier/Magneto –lol) to raise awareness about child abuse and neglect. This internet meme to change Facebook profile pictures into your favorite cartoon character has been spreading like wildfire that caught the attention of various groups including the powerful news media. Of course not without criticism despite promoting a good cause, some claimed that the meme is a hoax because the idea was a hi-jack from a group of women who promote awareness about breast cancer that originally initiated asking to change Facebook profile in support of their campaign which was first posted and written in Greek and that there's no significant date in December that celebrates about advocacy to stop child abuse. Yesterday while blog surfing, I read an article about this Facebook meme and that according to the post the initiative of the campaign was allegedly came from a group of pedophiles who in order for them to have a successful friends request from younger users they used cartoon figures as their profile picture as it is more appealing therefore there's a good chance of being accepted. I am one of those who actually changed my profile picture into a cartoon hero for one; it's about advocating a cause and I always have this inclination towards promoting equal-rights (ever wonder why my favorite comicbook is X-Men? Oh yeah mutant/human co-existence) because I feel, it is unfair to treat these kids being battered and neglected while others are freely and happily playing with their friends. Second a friend posted it first to his wall, so basically speaking it's his fault, lol. Originally I changed it to Iceman because it's my favorite cartoon hero of all time (yeah, I swear it's not Peter Parker, lol). 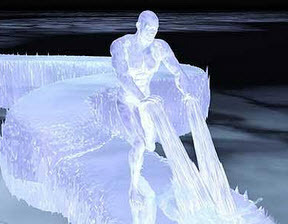 I have actually Binged the coolest Iceman picture on the net but after realizing that the campaign is about raising awareness to stop child abuse, I immediately changed it to Casper, which is more friendly and oh he's so cute, I'm loving it, haha and besides, Casper looks like the kiddie version of Iceman, remember the Mojoverse? Not that Iceman is violent but you see fighting with the Apocalypse, Magneto, Sinister, et al, I think is not a kid friendly stuff, lol. Okay, 'nuff said. Now let's go back to the meme, while it is true that changing our Facebook profile to our favorite cartoon hero won’t help save those battered children or creates healthy child development. But you see, the fact that this campaign created a buzz that even broadsheet, TV and other media are talking about. For sure we have sent enough messages that child abuse is un-acceptable to this society. One way or another I'm sure the meme help saves one child maybe two or more from battery. By changing our profile picture to a cartoon character is like wearing red ribbon to help stop the spread of AIDS or purple ribbon to stop domestic violence or to make it more local, it is simply like wearing a yellow ribbon in support of the Aquino's. I am not ashamed I have changed my picture profile and supported the campaign.